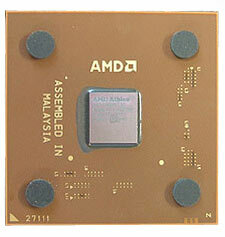 Abstract: While not being the latest in terms of technology, the XP1900+ is still a mighty CPU to be reckoned with. While not being the latest in terms of technology, the XP1900+ is still a mighty CPU to be reckoned with. Weighing in at 1.6 GHz, it'll tackle the most stressful programs out there with absolutely no problem. As mentioned in earlier articles, the AthlonXP 1900+ based on the Palomino core uses a Performance Rating to show consumers just how powerful it is. Manufactured using a organic FC-PGA form factor, it's less expensive to produce then the original Thunderbird based Athlon's but more important, these chips are more durable! Still using the .18 micron manufacturing process, the XP adds more features to the original Athlon core, namely SSE and Hardware prefetch. If you'd like to learn more about these features, please read the AthlonXP 2000+ System Review. In there, I go into more detail about the new features built into the core. And on that topic, this little brown chip seemed to clock pretty high! Starting at 1.6 GHz, it went up to 1.8 GHz no problem! Any higher and system stability was a problem. Of course, since AMD is reaching the limit to clock frequencies on the .18 micron manufacturing process, you won't see 50% increases until the Thoroughbred core comes out later in Q1'02. That core will use a 0.13 micron process. SYSmark2001 uses real world applications concurrently as an accurate way to test the system by following patterns that reflect the way real users work. SYSmark2001's workloads accurately represent today's updated business usage model. The benchmark runs at a realistic execution speed, with think times between application interactions, in order to emulate a desktop user's interaction with the operating system and applications. It's a shame that SysMark doesn't support AMD's SSE otherwise the Internet Content Creation would be even higher! Still, the XP 1900+ puts up very respectable numbers. With a 12.5% clock rate increase, performance is raised 9.5% and 14% respectively. 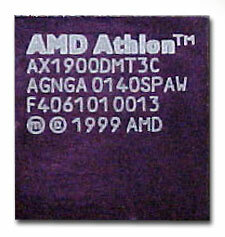 The Athlon was already known for it's powerful FPU, even at stock speeds. SuperPi at stock speeds nets a time of 73 seconds and that very fast, but when the XP1900+ is overclocked, it's speed things up by 10%!